IT ALL STARTS WITH A GREAT HAIRCUT. WE ARE A LUXURY BARBER SHOP SPECIALIZING IN MENS HAIRCUTS. There something that comes with getting a good haircut that is hard to describe.  When you want to feel that unbelievable feeling that comes with looking your best, ManCave for Men is the first place to visit. We offer an experience like no other…ManCave is an upscale barber shop where you can come and get the best haircut in Boca Raton all while drinking a beer. If you need a men’s haircut, we have barber shops located in Boca Raton and Delray Beach, so come on by and get your first haircut! Cut to your style with clippers, finished with a straight razor shave on sideburns & neck. Shampoo included. A gentleman’s classic. Master stylist scissor cut start to finish. Expert cut, shampoo & rinse, a straight razor shave on sideburns & neck, blow-dry & style. Haircuts for kids with all of the details that you would expect. Bring your student ID and get a discounted haircut. WANT A HOT SHAVE AS WELL? MANCAVE HAS YOU COVERED, OUR TEAM WILL GET YOU LOOKING YOUR BEST IN NO TIME AT ALL! After getting your hair cut, you might as well get a hot shave. There is no better feeling for any man who has a beard…yes that means you. So what are you waiting for? Never had one before? Ok then it might be time time to say goodbye to your home razor. With our high-end products from “The Art of Shaving”, you will feel the straight blade outmaneuver anything you have at home, leaving no bumps or burn, and the splash of the aftershave will leave you feeling unusually refreshed. A luxurious shaving experience with premium “The Art of Shaving” products, includes hot shave with a straight blade, and have your beard trim however you like it. With a hot towel and many extras. Give your beard a fresh look with a beard trim. Just let us know how you want it and we’ll take it from there. Clean up your look with a special manicure for men. Your feet need attention, why not get a pedicure for men? However much or little you need to look your best. Grooming of the back and chest area with the use of clippers. Do you need facial skincare treatment for men? At ManCave, we understand your needs. A skincare treatment that initiates the skin rejuvenation process. A relaxing massage technique that helps with lowering stress levels and begins the process of healing sore muscles. A great way to relieve the body of aches and pains. Deep tissue massage is known for getting results, and the ManCave signature treatment. The pressure in the body is released by the trigger point therapy and targets the muscles to heal faster. The heat in the stones is absorbed by the skin and loosens up the muscles and allows for a better massage. For most athletes, pain is part of the game. But adding sports massage therapy can help you can recover faster, while gaining better in-game mobility and resilience. A specific technique usually performed in the feet or hands with pressure points that correlate with other body parts. The benefits of reflexology include: increased energy, boost to circulation, helps eliminate toxins, stimulates the central nervous system, and can prevent migraines. DO YOU WANT TO GET YOUR HAIR COLORED? We not only offer haircuts and hot shaves, but also can match your hair color or do a CAMO treatment. Rest assured knowing your natural hair color is always a perfect match. Come in for the CAMO treatment, leaving you with natural looking hair. So come on by and look younger today! We also offer permanent color and closely match it to your natural hair color. We offer our clientele a variety of services, each of which are tailored to meet the needs and expectations of even the most demanding man. We offer countless amenities…if you don’t see something that you want, please don’t forget to ask! There are only 8 seats in each barber shop and they fill up quickly. If you want in, make a reservation today.